Newington, Conn.-based Shelco’s MicroSentry HTF filter bags are manufactured in a variety of styles and materials. Made of the highest quality media, the HTF Series will give the highest particle retention, largest solids-loading capacity and widest range of options. These bags are the ideal choice for your specific filtration requirement. With standard sizes to fit most housings, these bags are the perfect choice when quality is important. 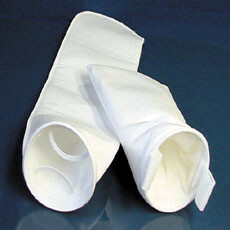 The HTF filter bags are available in micron ratings from 1 to 1,500.